Yamaha and Japanese phone company KDDI have teamed up together to deliver something new and innovative to mobile phones. Sure, you can play MP3’s on your phone but can you play instruments on your phone? 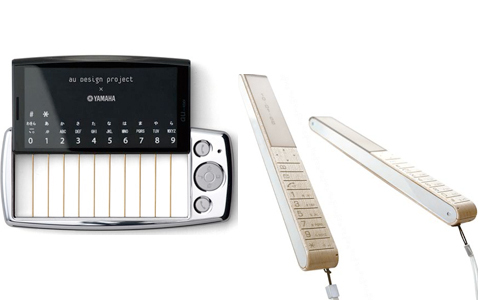 Yamaha and KDDI have found a way to produce sounds of the trumpet, harmonica, piano, and drums. They’ve also added put a scratching feature for DJs.Â Nintendo’s Wiimote gave them the inspiration to take on the project and the final all this was revealed this month in Harajuku at the KDDI Designing Studio. Previous post: Spotted: Rihanna Shopping On Melrose.